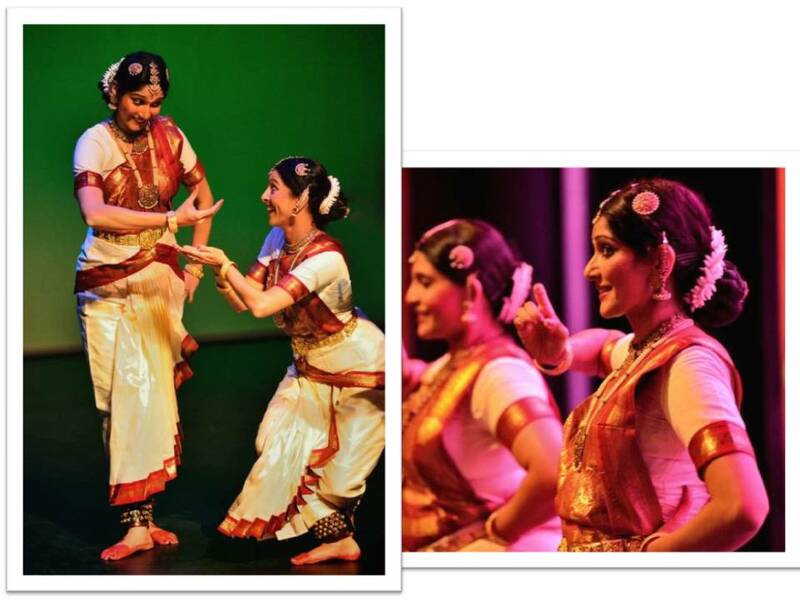 This Spotlight showcases Bharatanatyam - one of the oldest classical dance forms prevailing in India and celebrates the artiste who has brought home (yes – to the USA) this verdant art from, inspiring and tutoring her many students in this branch of classical dance – Sridevi Jagannath. Bharatanatyam is said to derive its name from Bharata Muni, the author of Natya Shastra (treatise on dance) written between 2nd century B.C and 2nd century A.D. This dance form was originally performed in temples by the "devadasis" (servants of god) and it is to them that we owe the preservation of this art form. This art form received great patronage during the golden rule of the Maratha and Chola rulers. The dance was then called "Sadir". Sadir in turn, is derived from ancient dance forms that includes some acrobatic karanas. Bharatnatyam is usually accompanied by Carnatic music and jointly embodies a winsome union of the mind, body and the soul. With the advent of the Mughals started the decline of temple dancing. The Mughal rulers brought dancers from Persian states. 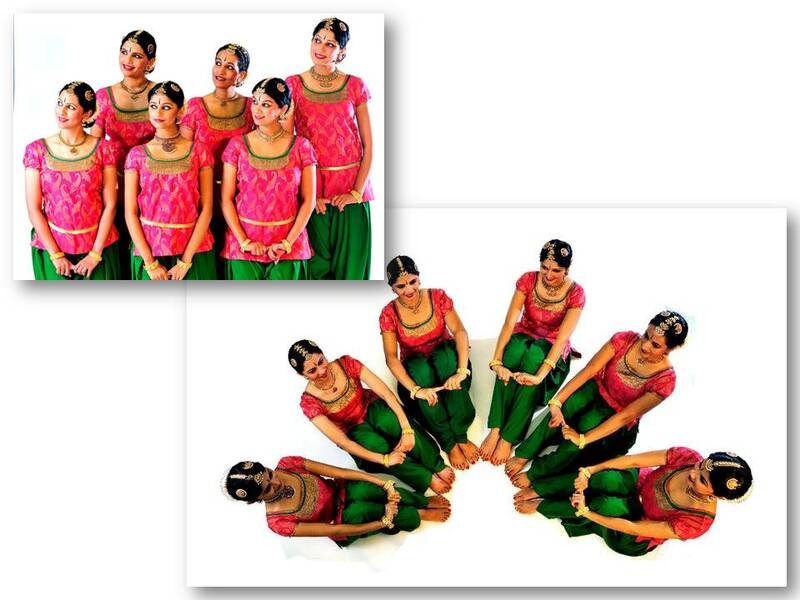 The devadasis stopped receiving patronage and many of them started learning Persian dance and took to court dancing. The British rule did away with provincial monarchies. In a desperate move to earn livelihood many dancers who now stopped receiving any kind of patronage took to becoming escorts and royal consorts. Thus Bharatanatyam, as a dance form, fell into disrepute. Girls from honorable families stopped learning this dance. Dancing came to be considered as a ignominious profession in the latter half of the 19th century and the first half of the 20th century. Modern sensibilities have outweighed the shadow of dishonor once attributed to this dance form. Bharatanatyam is now a reworked dance-form known for its grace, purity, tenderness, and sculpturesque poses which extol the virtues of Indian culture and mythology. 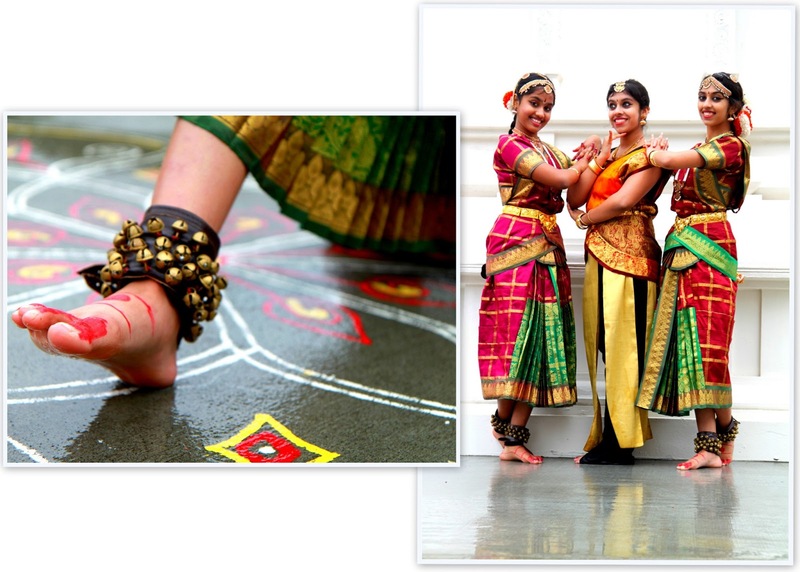 Today, Bharatanatyam is one of the most popular and widely performed dance styles and is practiced by male and female dancers all over the world. Sridevi Jagannath is consecrating this classical dance form through Laasya – The School of Dance and Music (Find Laasya Nritya on Facebook). Sridevi founded Laasya a decade ago to train and mentor students in Bharatanatyam and Classical Music. 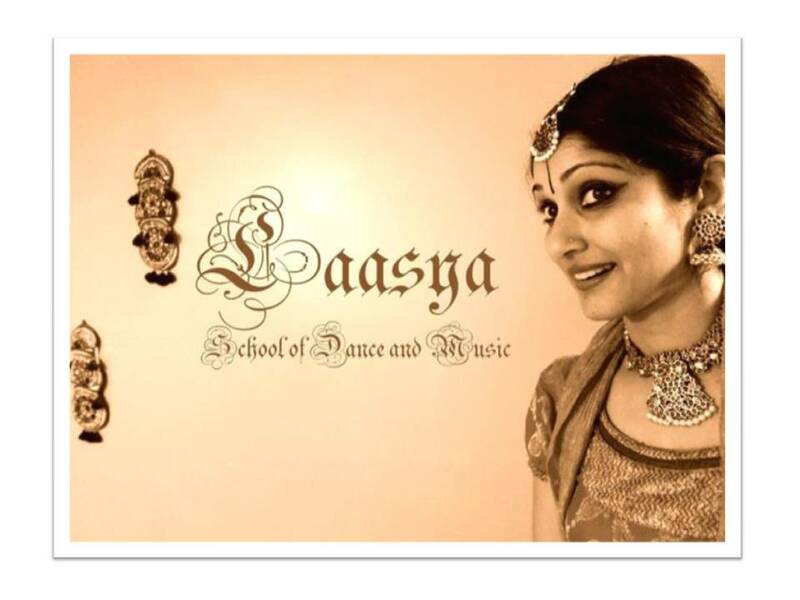 Laasya is the proud alma mater to many prodigies from all over the world (my girls will go there too!) who have embraced the beauty and finesse of this form of Indian classical dance. Sridevi is a true Bangalore girl and boasts of a proud lineage of connoisseurs of music and dance. She is a wonderful friend, a great mom and a ray of sunshine in the lives of her family and friends. A teacher and a performer par excellence, Sridevi is one of the first few students of her Guru Smt. Padmini Ravi at the Pradhan Dance Center in Bangalore, India, a widely acclaimed school in the Vazhavoor style of Bharatanatyam. She began her career as a dancer at the tender age of five. Ever since, she has enthralled the hearts of many dance lovers far and beyond. Her mother Karnataka Kalashree Smt. Ranganayaki Rajan, who is an internationally acclaimed artist herself, introduced her to the world of music. She also had the privilege of getting trained under some world famous dance personalities like K.J. Sarasa, Padmabhushan Kalanidhi Narayan, and Smt. Banumathi. Before leaving India, she was an artiste for the Indian television’s prime time channel Doordarshan and performed in small screen lead roles on several occasions. Sridevi has performed for organizations such as the Florida chapter of SPICMACAY, Stevens Point, WI, Balaji Temple, Chicago, IL, the SAARC Summit, Hindu Society of North Carolina, ICMDS, NC and International Dance Alliance, Chennai, India. She has also conducted several lecture demonstrations at Lees McRae Performing Arts School, Boone, NC. Her recent innovative experiment "ANANYA" performed under the HUMSUB (Find HumSub Cary on Facebook) banner was very well received by the art-lovers of the Triangle area. This was an experiment where the technique of Bharatanatyam remained untouched, but the concepts portrayed were unique. She was recently invited to perform at the Oregon State University for India festival, the biggest ever in the entire northwestern region of the United States. Sridevi is also a member of Srishti - The Creation, a group of dance artists that are individually well trained in the art and have been performing at many prestigious platforms in the USA for over a decade. Sridevi is known for her Tala-Gnana and precision in Nattuvangam. She has been training students for the past ten years in the Triangle area and has performed several Arangetrams of her senior students. Sridevi is a formidable force in her Bharatanatyam classes. I have been a moot observer on many occasions and I have seen this bubbly and enthusiastic friend and confidante turn into a strict and feared teacher, inspiring, nudging and shaping her students to imbibe the style and symmetry of the dance form as their own. Her many students have formed lifelong friendships with her, a bond forged out of a common love for classical dance, enriched by its rigors and fuelled by passion for creating a thing of beauty! "Great dancers aren't great because of their technique; they are great because of their passion." Aalayam was fortunate to be a guest at Sridevi’s family home in North Carolina. The classical contemporary design sensibilities of her colorful home, which she also uses as a workshop for teaching dance, prompted us to ask her not only an interview but also a Home Tour! And she said Yes!! So dear readers, look out for the next post in this two-post series – Sridevi’s home tour! And a rendezvous with Sridevi herself! So, I leave you dear readers with these beautiful images of joyful inspiration...and a promise for more next week! 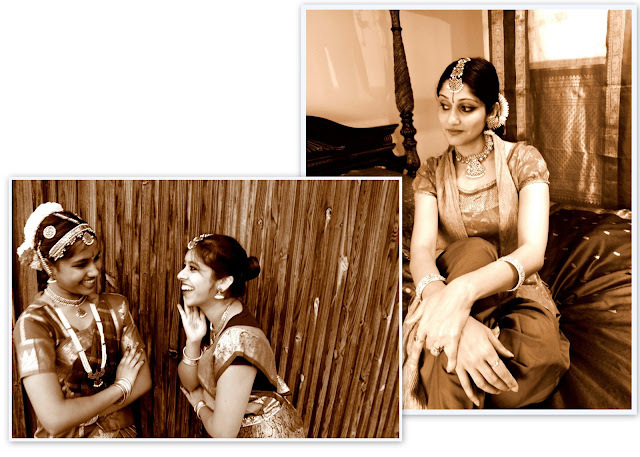 Execellent post on Bharatanatyam. Thanks for sharing. Madam this is my Odissi dance special cover. Madam this is Classical dances with Divine backgrounds images message. Madam in my Heritage of India you find many art,paintings,dances, cultural related material. please look into them and give your valuable comments. Madam further recently i gave my first seminar on Indian Heritage and Culture. Madam this is the link for my first seminar message. Madam further 2 months back i share one message in my blog with the title "Indian Woman in 19th Century vintage postcards". Madam in this message i am trying to explain as how indian woman got respect until recent times and compare the same with present day situations by mentioning about delhi incident. Madam below is link for this message. Madam there will be good response for this particular message across india and so far 17 persons gave their comments. Madam i request you please read the message and other people comments and also gave your valuable comment. Thank you for visiting and for your comments Mr. Srinivas. Thank you very much for your comment on Classical Dances with Divine Backgrounds message. Madam also i request you please give your valuable comments to the above 2 messages of my First Seminar message & Indian Woman in 19th Century because many people watch these messages regularly and gave their comments. Madam in the seminar i explain the students various things i.e our classical dances, our sculptures, our folklore etc. by showing them my collections through slides on projector and students felt very much happy and they want next time full day seminar. Madam i hope you gave comments on the above 2 messages which gave much inspiration to me particularly on my seminar. Madam further i am happy to state that people from 79 countries across the globe visited my blog so far and regularly people from several countries watching my messages and gave valuable comments. Madam it is a good sign that in compare with india more people from united states of america visiting my blog in numbers and also 78 other countries people on various messages of my blog. Madam i am sharing these message with my little knowledge and i am glad that i got encouragement from several persons across the globe for my little contribution on preserving our glorious heritage and culture. Madam did you have any Cultural i.e. dances, sculptures,art, folklore etc. related picture post cards, souvenirs, art prints, paintings etc. in your collection for sharing them in my blog. Madam if you have any spare material on Indian Heritage and Cultural related then i request you please send some material to me. Madam i am waiting for your reply for your valuable comments on my above messages also like the one which you already gave and also i hope to receive some indian heritage related material from you.